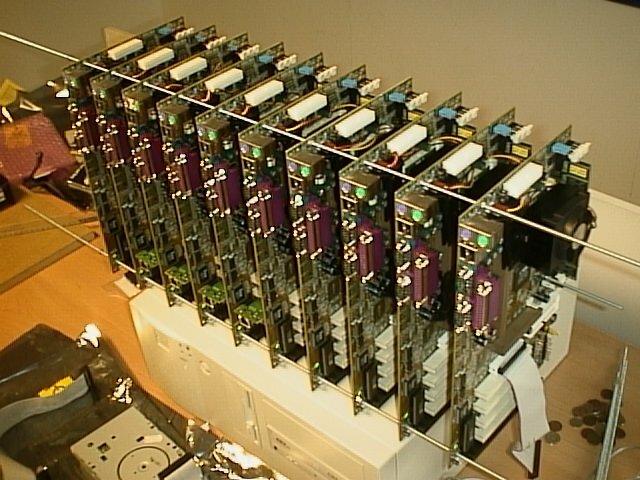 Our objective is to make cluster computing as cheap as possible. Hi there. This is a bit of documentation on how to put together a very low cost and extremely compact beowulf cluster. We needed a beast like that for one of our internal pet research projects, so we decided to see how cheap and how compact we could make the thing. 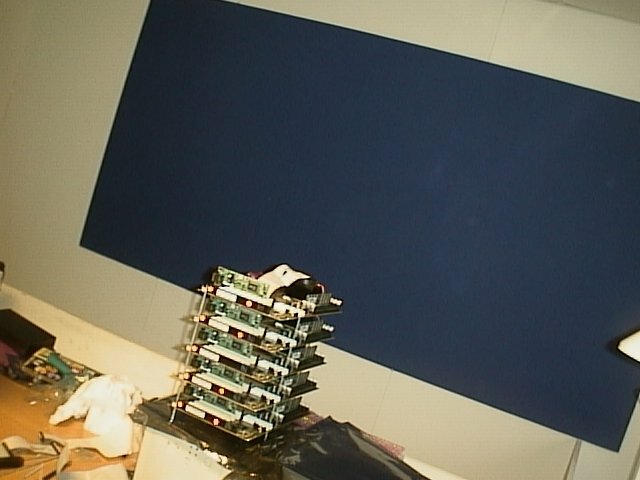 The total material bill came to $US 4150, for that you get a 10 node 600 MHz PIII 128 MB ram per node cluster. (Prices April 2000). They all boot of their own floppy disk. Each machine is hooked up to the net using a 100 Mbit ethernet card. Please note that there is nothing 'beautiful' about this setup, it does run lightning fast though. First we had to get a hardware configuration that would work reliably with the lrp (linux router project) kernel, that forms the software side of the cluster. 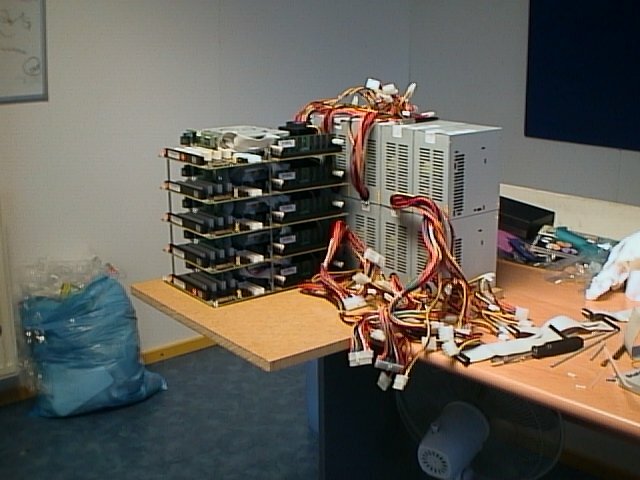 So we Tested - different motherboards were mounted on a piece of wood and we let them burn for a few days, trying different configurations. We found some interesting little details about network cards and chipset sub versions, some of which would not talk to our switch, but in the end all the problems were resolved. 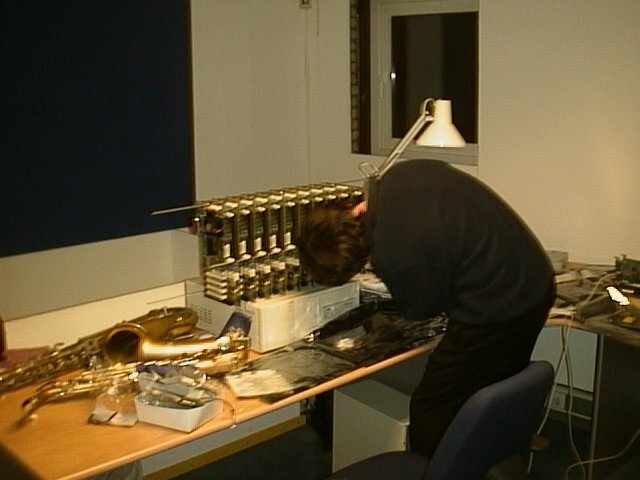 So now we had a working configuration and the building could begin in earnest. To save space and to make the construction as open as possible (cooling !) 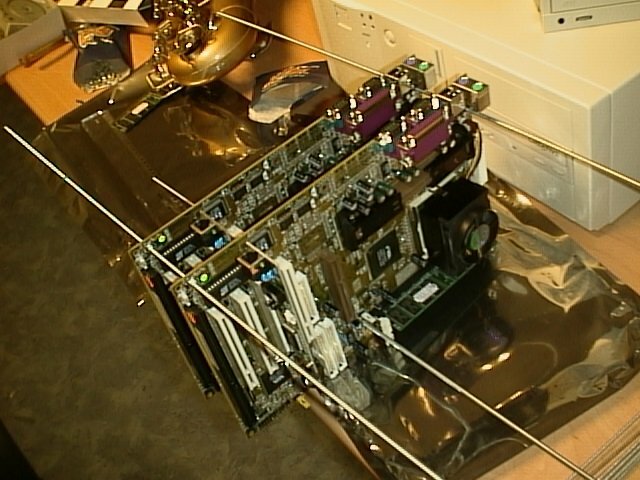 the motherboards were threaded like beads on a chain using 3 foot long threaded rods. As the evening progressed the thing got larger and larger (so did the pile of packing material). We decided to cut the stack in half and mount the halves side by side. Each half is 30 cm (12 inches) high. 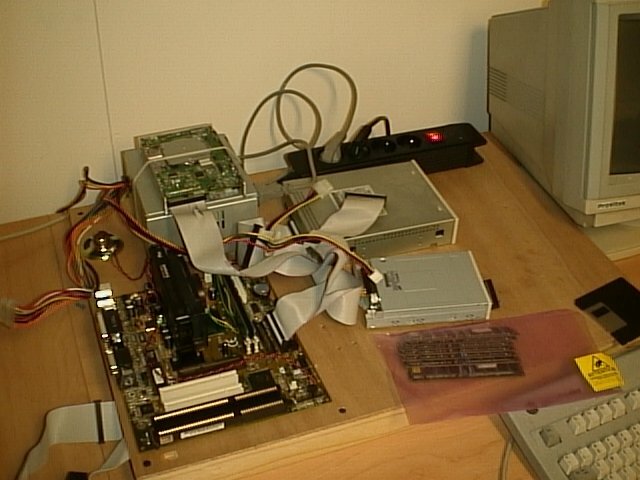 Power suplies got added and floppy drives were glued in place. (yep, you read that well). The whole thing was slid into the 19" cabinet, then we added power switches and leds. 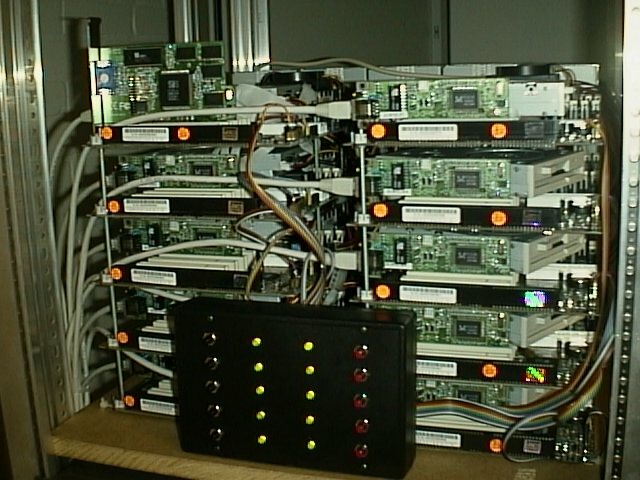 If anybody has a more compact beowulf cluster or is using these pages as inspiration we'd sure like to know about it.